When building your dream home, we understand why you want every detail to be perfect. 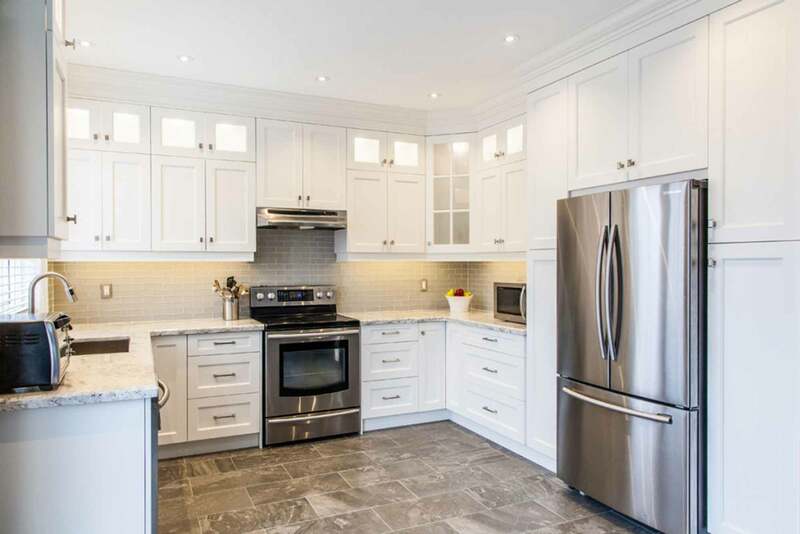 This is the place you’re going to be making memories for years to come, and having a kitchen that’s both beautiful and functional is important. These clients were hoping to achieve a particular flair in their dream kitchen, and the builder knew that we would be the right team for the job. Our technical team created a flawless product using our cutting-edge CNC woodworking machines. The key was to fill the walls and cabinets with storage, and we were able to make everything fit seamlessly. 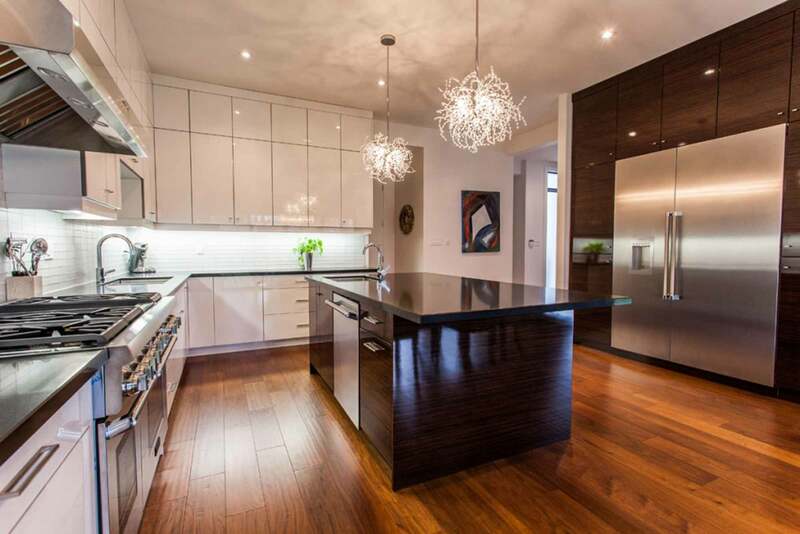 By the end, the white high gloss cabinets complemented the tall ceilings, while the zebrawood gloss island and fridge cabinets enhanced the quartz countertops. 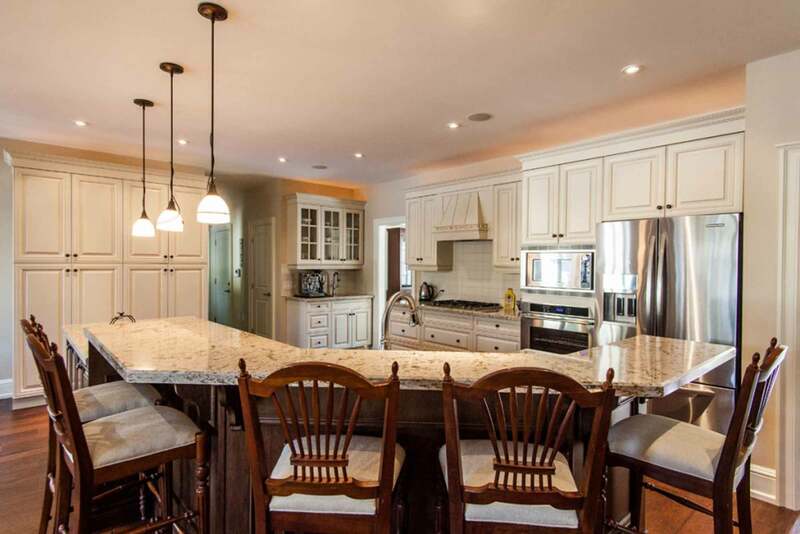 The clients were overwhelmed by the final result, and could not wait to create memories in their dream kitchen. We use a highly technical process when designing and building any project. Using old photos and new measurements, our team used 3D software to design the kitchen in real time for the client. They were then able to pick out the same door styles and colours in our extensive showroom. We then used our state-of-the-art CNC machines to precisely build each part of the kitchen so every piece would fit perfectly. Yes, your kitchen can look this good, too.